Where in the summer should the city man go? Of course, to the country, if, of course, you have it. Say what you like, and holiday cottage has its charms. Now imagine, in the evening you go into your country house, but there is no light. Now, no tea to drink, no books to read, and the tablet is not enough for a long time. How can you save yourself from such unpleasant surprises from oblenergo? 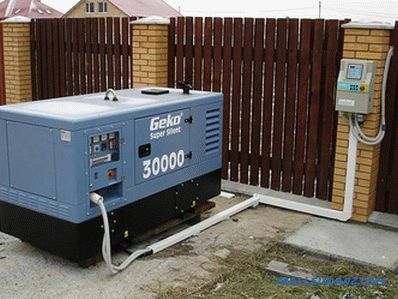 There are many ways and one of them is the acquisition of a generator set. It is clear that in this case, you can fork out. Diesel units are quite expensive and are designed mainly for regular use. 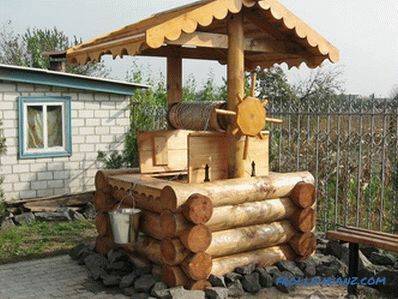 And you will need a generator only as an emergency power source, no more. Of course, in this sense, petrol units are just right, besides, they are cheaper than their diesel counterparts at times. So, your choice is a gasoline electrical installation. 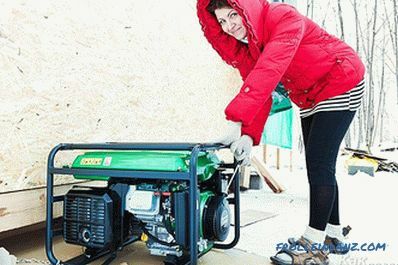 It remains to figure out how to choose a gas generator to give. 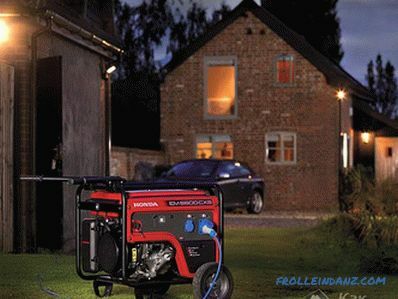 It is clear that for a small a country house with a minimum content of any electrical innovations will be enough of a gas generator with a capacity of up to 1 kW (with a 2-stroke engine). What can be powered by this mini-power plant? Everything is at a minimum: lighting, TV, an old compressor-free refrigerator, even a borehole vibration pump, provided that it is low-power. 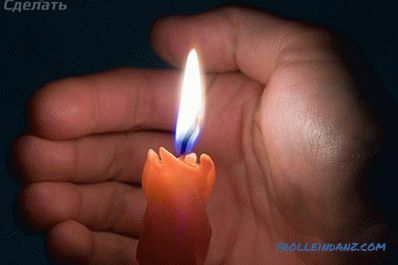 When buying such a mini-power plant it is important first of all for yourself to determine for what purpose you need it, and what power will be demanded from it. If in a small country house you could get along with a low-powered gas generator, then for a house you will need a unit much more powerful from 3 kW and above. But will a generator be needed at all? 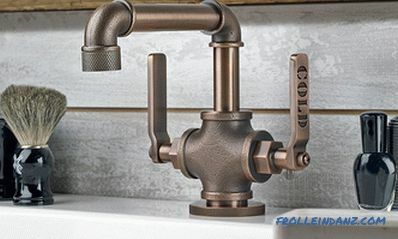 Considering that most private houses have gas heating and electricity with undesirable consistency is turned off along with the heating of these same houses, it will be necessary (This applies to electrically dependent boilers and heating systems that require constant operation of the circulation pump). 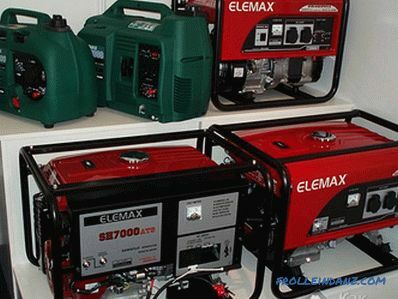 When buying a gas generator for your summer cottage, the first thing you need to do is to sum up the rated power of the electrical appliances you intend to use at the cottage, connecting it simultaneously to the generator. 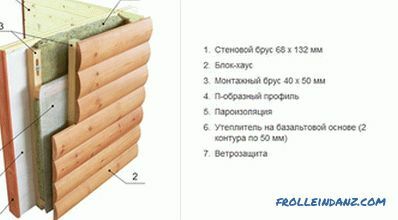 However, in order to choose the best benzo unit, you still need to add 30% in addition to the amount received. 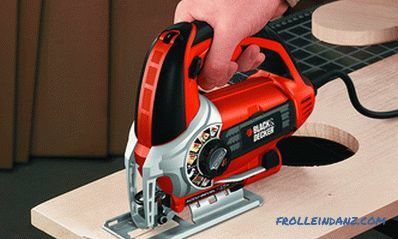 This is the power reserve, which will have on the peak loads that occur when turning on electrical appliances with a large starting current. As already noted, the use of a gas generator is justified only if it is used as a backup power source, but no more. 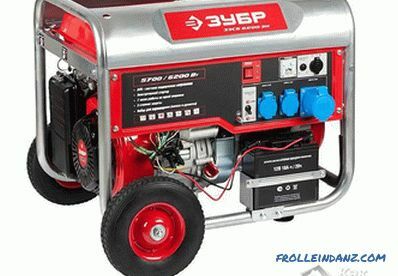 If you wish for some reason to use the gas generator in your house is active (5-6 hours alternately), then in this case you should definitely buy a generator with a 4-stroke engine. The service life of such gasoline engines is much longer, and they are more economical compared to similar 2-stroke engines. It is important to take into account one more thing: there are single-phase and three-phase electric motors. Which is better? 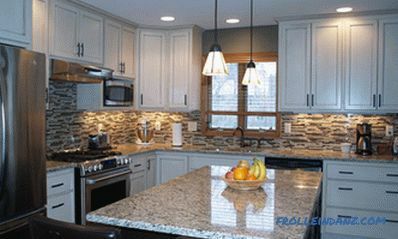 As a rule, among household appliances there are no electrical appliances that consume 380 V. Therefore, it is enough to buy a single-phase generator. If you are already ripe for this kind of purchase, follow, please follow these recommendations. Thus, you will be able to avoid unnecessary financial costs and ensure your uninterrupted power supply to your home or cottage.